Enhancing your landscape can give your home a warm, welcoming feel and can substantially raise your home’s value. The question is how do we truly get our money’s worth out of this new landscape? One problem is that when we come home in the evening our time is limited to enjoy our landscapes. Soon nighttime comes and it is too dark to go outside. 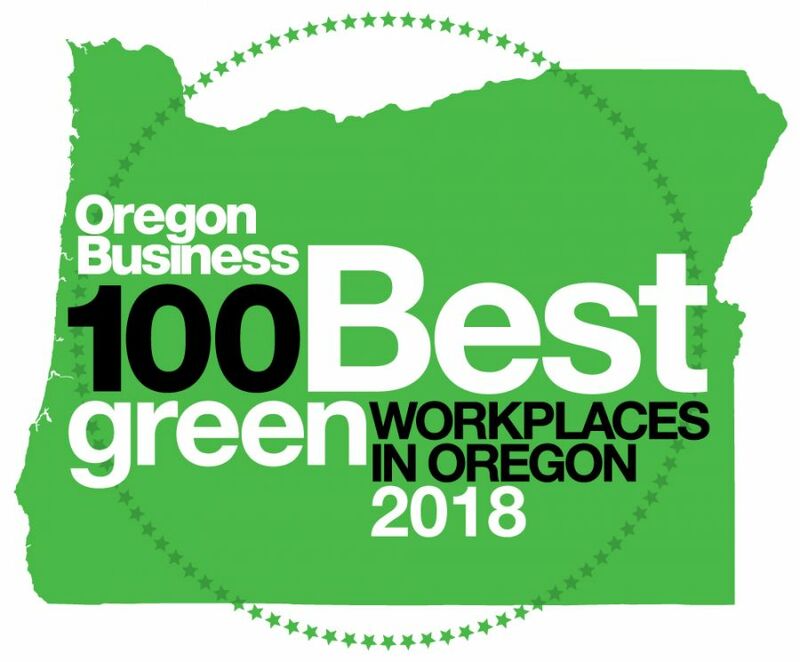 Let’s not forget that Oregon weather may deter us from using our outdoor living spaces for several months every year. So really you spent good money so that you could enjoy your landscape for a few hours each evening for 7 months out of the year. The solution; outdoor landscape lighting which offers a diverse number of outdoor uses. Some of which are: extended evening/winter use, safety and security, and overall beauty of your landscape. 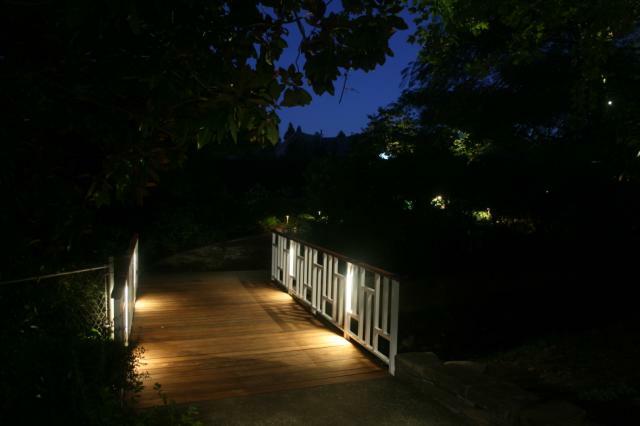 Landscaping lighting allows you to extend your enjoyment of outdoor living spaces to late evening hours. Outdoor events are no longer cut short by the sunset. During cold winter months you are still able to enjoy the view of your landscape from inside your warm home. a well lit area will ensure that visitors can see where they are stepping. If a well lit home and a dark home with poor visibility are next to each other the second is more likely to be burglarized. Lighting adds that security that we all desire to feel whether we are home or away. During daylight hours you can see your entire landscape but come nightfall you are a totally different perspective of your yard. 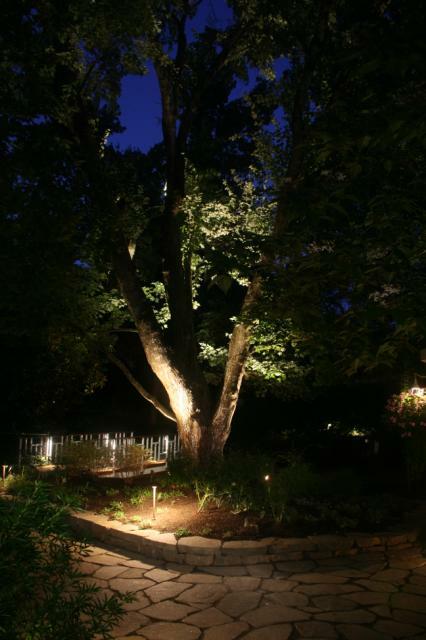 Strategically placed lights illuminate specific areas and features of your landscape. 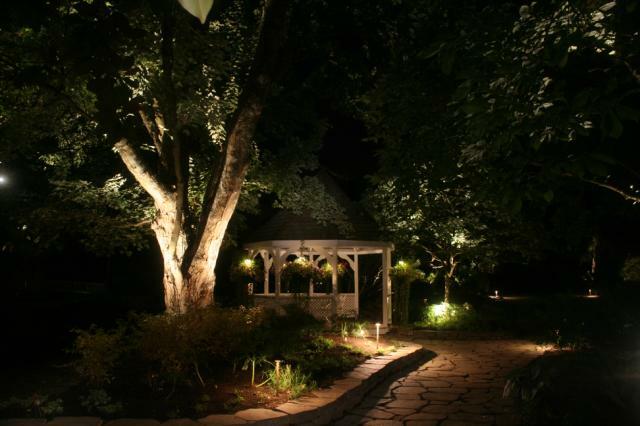 This artistic aspect of lighting allows you to have a few accents throughout your landscape.